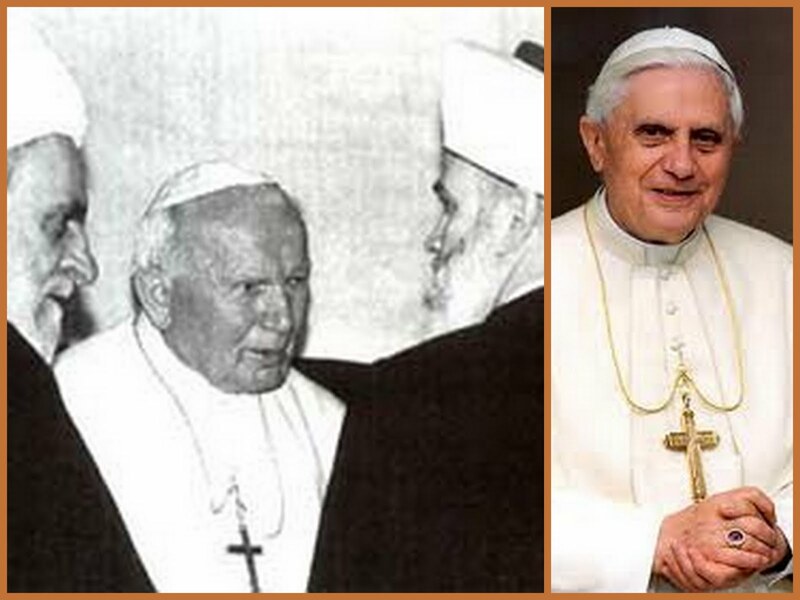 When he arrives Friday, Pope Benedict XVI will not find the same Lebanon his predecessor, the late Pope John Paul II, visited in May 1997. Firstly, conditions have changed in the small country. At the same time, the situation is drastically different in its immediate neighborhood and the surroundings, where dramatic changes herald open-ended civil wars under fake religious and sectarian slogans. That’s probably why the new papal visit is Lebanese by name only. Its focus though is the complete gamut of the “New Middle East” – the hope being to comprehensively reflect on explosive regional issues. Do we need to recall (1) that the Vatican has the world’s largest information gathering and analysis network (2) that it has specialized departments that are not only concerned with religious matters but monitor political, economic and social transformations and their implications, and (3) that it has its niche in the realm of international decision-making? The visit’s objectives encompass the course of events in Lebanon’s surroundings and their fallouts on the Lebanese -- this, plus a reassurance message to Lebanon that it is not forgotten or left to twist in the wind or fall into the abyss, considering its leaderships’ failings. It is easy to say that by flying to Lebanon Pope Benedict XVI wants to reassure all Christians in the Orient that they are not overlooked, that their wellbeing is the concern of both the Vatican and eastern and western powers, and that such concern takes in the mutations, regime changes and changed circumstances across the region that sometimes go beyond the slogans raised in revolution squares. It’s worth pondering the longer-term objectives of the impending (September 14-16) visit, which is exceptional by its timing and avowed purpose. (Arriving in Beirut in the early afternoon on Friday, Pope Benedict XVI will go to the basilica of St. Paul in Harissa, where he will sign the apostolic exhortation. The papal document will summarize and reflect upon the discussions held by the Synod of Bishops in October 2010. That special meeting of the Synod was dedicated to the challenges facing the Church in the Middle East). “Lebanon is more than a country, Lebanon is a message of freedom and an example of pluralism for both the East and the West…” were the words of the late Pope John Paul II during his May 1997 visit. The country was then largely united after a political settlement of the Lebanon civil war -- and the wars of others on its soil. That war, or multiple wars, consumed all manner of religious, confessional and sectarian jingles before settling on the catchphrase of power-sharing with guarantees from Arab, read chiefly Syria with some Saudi input, and international, read chiefly American with some European and Vatican effort, players. But the Arab region today is unlike what it used to be 15 years ago. Circumstances have changed almost everywhere since 1997. Syria, the guarantor of the 1989 Taef Agreement ending the Lebanon civil war was strong, its people united and its regime a regional heavyweight. West and East, Arabs, Iranians and Turks recognized Syria’s pivotal role in ending the Lebanon civil war. Syria today is in Lebanon’s former decade-long civil war situation. All its sides are crumbling, including its ancient cities and its capital, which was the world’s capital one day, as a consequence of bloody clashes, mass-killing bombings and the disastrous flight en bloc of its citizens in all directions – whether to Turkey, Jordan, Lebanon or Iraq. The army was thrown into the fray with all weapons at its disposal, including warplanes. This led to a situation of open combat between the regime and a separate mix of opposition forces -- some of them nationalist insurgents seeking reform to protect the country and other Salafist, jihadist and anarchist groups fighting for their own purposes or plundering the country’s antiquities. In short, the country that was a model of immunity by virtue of its national unity risks putting its destiny – as Lebanon did before – in the hands of external forces. It is consequently understandable to revisit, on the sidelines of the deadly conflict, the subject of the “fate of Christian minorities” in the region – especially after the plight and sufferings at the hands of shadowy gangs of Iraq’s Christians, who were displaced and dispersed throughout the world. The Vatican had to help descendants of Christians who inhabited Iraq since the dawn of history relocate to Europe and the United States. Here we are then facing the prospects of an organized drive to protect Syria’s Christians, taking into consideration also the mass emigration of Lebanese Christians in the wake of internecine strife in their homeland.